MTV2 is about to bring the party to living rooms across the country as Hip Hop Squares featuring Tech N9ne prepares to make its debut on May 22. With the game show’s first episode ready to air, fans can now get a full look at the complete cast for the upcoming season. From the Kansas City King to the likes of Biz Markie and Method Man, Hip Hop Squares is offering up a massive cast of all-star names. 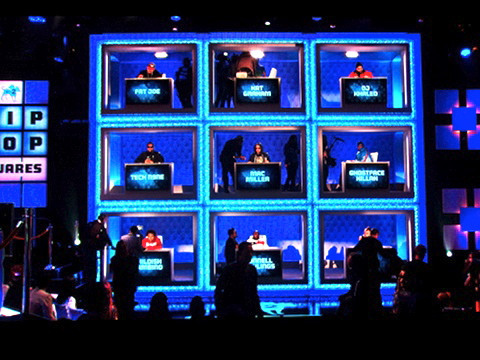 Check out the full cast listing complete with biographies and be sure to tune into MTV2 on May 22 at 11PM EST/10PM CST for Hip Hop Squares! Click here to see the full cast. Are you surprised by the cast?